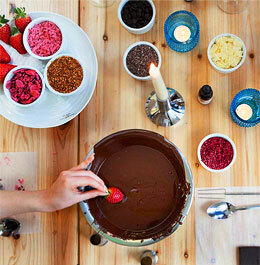 Bournemouth Chocolate WorkshopTest, taste and create your favourite Chocolate combinations. 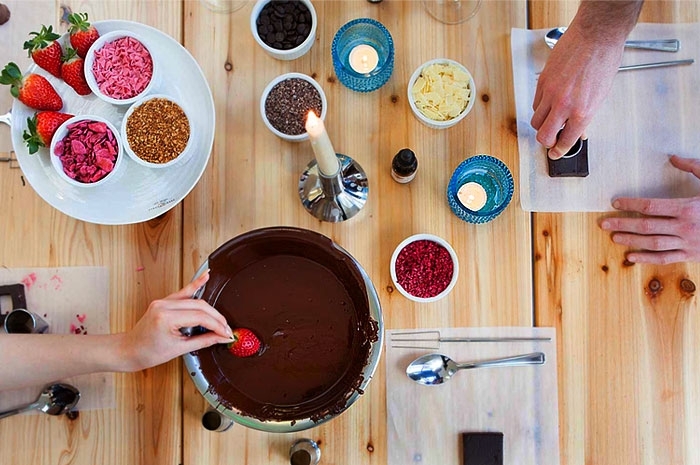 A 3-hour private chocolate making workshop where you discover the history of Cocoa, design, create and market your own selection of homemade chocolate designs while also having a lot of fun. What happens on the day for Bournemouth Chocolate Workshop? Working with your friends you'll get to play with molten chocolate - cool it down to the perfect consistency, ready to begin the fun. First you’ll receive tuition on how Chocolate is produced and taste various strengths of cocoa solids. 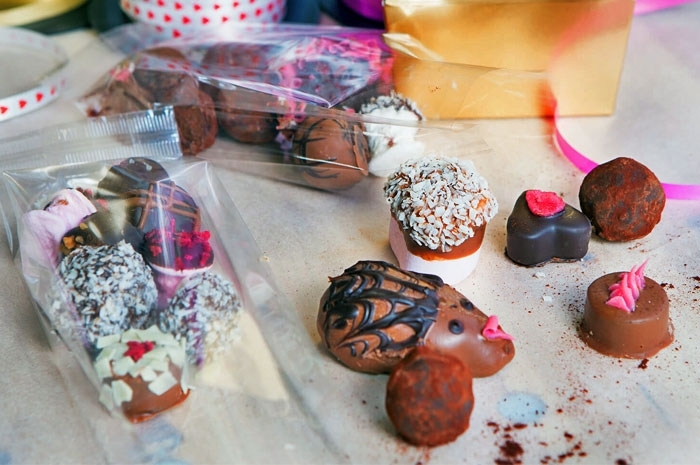 Following this, you will be challenged with making, packaging and marketing your chocolate designs with the use of White, Milk and Dark Chocolate. You will be offered yummy treats to decorate and season your creations involving Sea Salt, Chili, Sweets, Rose Petals and more chocolate! Who is Bournemouth Chocolate Workshop for? Immensely popular with Birthday Parties, Hen Do’s and Corporate Groups, this hands-on creative tasting experience is a favourite for those looking for something fun and tasty. With our workshops available in central locations in Bournemouth, and at your own venue, the options are endless. Please discuss your requirements with us upon making an enquiry. Prices start from £29pp and vary with group size and packages chosen. Please enquire for more details.